You may think you've addressed and eliminated all of the major inefficiencies on your manufacturing floor but as technology evolves, if you're not re-evaluating opportunities to drive manufacturing quality and volume on an ongoing basis, you may be at a weakness to competitors who are. Most manufacturers agree that the greatest cost to their business comes from unplanned downtime or downtime that occurs unexpectedly or as a result of a failure. This may be driven by excessive tool changeovers, excessive job changeovers, lack of operators, and unplanned maintenance. The cost of unplanned downtime could be upwards of $1 million dollars per event. Even more troubling, however, is that customer service is often a casualty of unplanned downtime, and could cost even more in the long-term. Downtime is not the only challenge to manufacturing productivity. Keeping up with changing regulations, managing vast quantities of data from consumers and the production line, maintaining appropriate inventory levels, maintaining optimal workforce. In a study conducted by Vanson Borne, 81% of respondents felt that digital tools could eliminate unplanned downtime. Further, 85% of respondents admitted that their organization could improve its effectiveness when it comes to asset management. How can you address cost-draining manufacturing inefficiencies? Predictive maintenance and remote management can greatly reduce down time. IoT can provide real-time feedback and alert companies of product defects or damaged goods. By incorporating real-time production monitoring, manufacturers can improve the accuracy of their Overall Equipment Effectiveness (OEE), production output rates, quality and efficiency. If, like many other manufacturers, you are struggling to manage and process the high volume of paper documents that flow through your organization, including delivery forms, invoices, revision notices and purchase orders, machine maintenance documentation. While necessary, these documents all have the potential to slow operational productivity if not managed properly. The advantages of a Document Management System in Manufacturing are many. Faster response time to customer and supplier inquiries, medical emergencies, etc. AI is being used to enable collaborative robotics (robots that work alongside humans), automate workflows using predictive analytics, improve recruitment and retention of manufacturing experts, and to optimize equipment and plant effectiveness. Machine Learning reduces need for technicians with the ability to improve the performance of computer systems through exposure to data, eliminating the need to follow explicitly programmed instructions. With its latest business productivity tools, Microsoft is helping transform their organizations using end-to-end solutions that connect data, people, and equipment. For example, Dynamics 365 Connected Field Service, manufacturers can deliver a profitable field service that deepens customer loyalty. Using these solutions provide manufacturers with higher visibility across their organization while minimizing downtime, reducing costs, and increasing customer satisfaction and sales through cross-selling and up-selling opportunities. As a result, manufacturers are transforming their market offerings to deliver a rich set of value-added business services and provide a complete, connected customer experience. Advanced analytics provide manufacturers with insight based on data captured from machinery and processes across the plant floor to improve product quality, reduce production delays and improve time-to-market for new products. With an ability to predict equipment failures and anticipate consumer demand, customer service will also benefit. Data is streamlined so information about supply, delivery, customer support, that used to be difficult to find, is more easily accessible and easier to analyze, particularly with apps like Microsoft PowerBI, which consolidates data from a variety of sources and facilitates analysis. Employees and customers alike have become accustomed to immediate gratification from technology and now expect the same from their processes and products, requiring faster innovation. 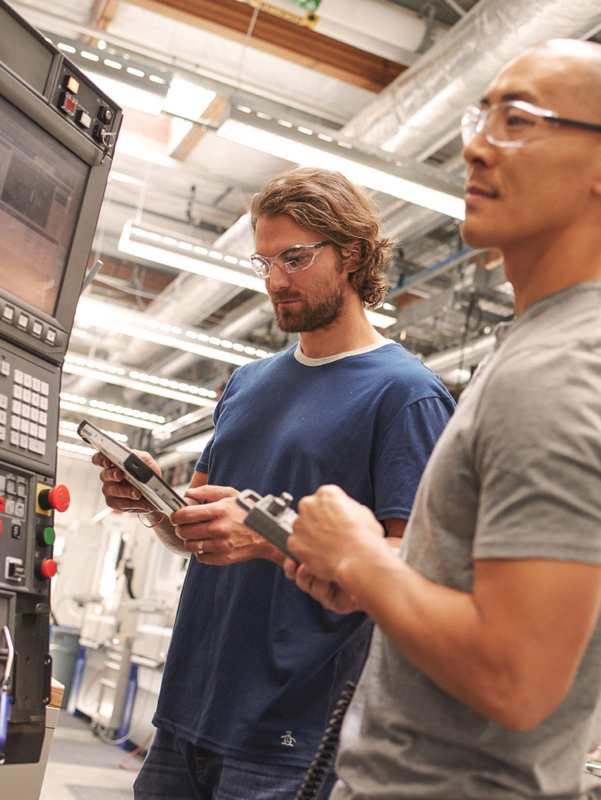 To keep up with high expectations, digital transformation is a necessary evolution in order for manufacturers to stay competitive and to improve the way they manage and share information across the enterprise. With the digital transformation, comes great opportunity to reduce costs, drive efficiencies and improve productivity and product quality.